As an attorney and a senator's daughter, Abby is used to seeing her dreams fulfilled. But there's one exception: handsome single pastor Jeremy Walker. 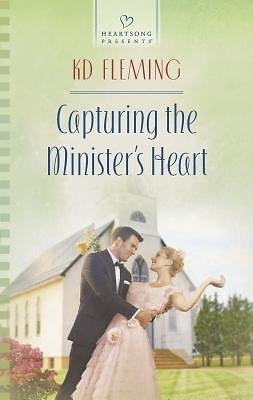 Abby longs for Jeremy to see her as more than a friend and member of the congregation, but every time they get close, he pulls away. Keeping a low profile is a matter of life-and-death for Jeremy. Though he's drawn to Abby, she lives in the limelight he's desperate to avoid. Abby deserves a man who can give her the world, not one who has to hide from it. Can she convince Jeremy that the only attention she wants is his?"